I've tried everything. Please can you tell me where to find a knitting pattern for a boys harley motorcycle sweater? There's a really cute crochet pattern I found online but I knit. I am sorry but I do not know of any pattern that might suit your needs but I do have a couple of suggestions for you. The first is that you find a basic sweater pattern and design your own knitted picture that could be knitted in or embroidered on after. 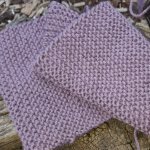 does the crochet pattern have a graph of the design that you could use? If not find or draw a suitable picture, the simplier the better, and transfer it onto a piece of graph paper and colour it in. Each square on the graph paper would represent one stitch. The other suggestion is that you add a comment on the facebook comments at the bottom of any of the pages on this site and see if any one out there has the type of patten you are looking for.